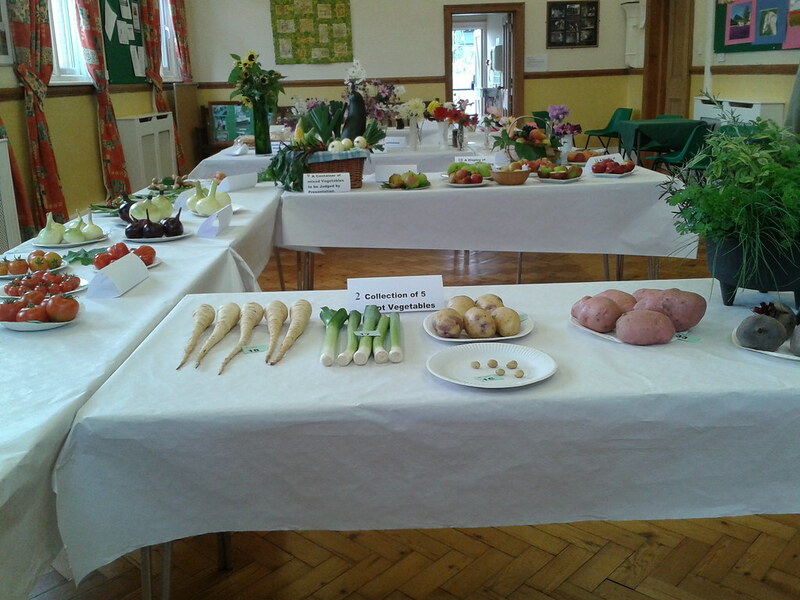 Saturday the 5th September saw the third annual Lindridge Autumn Show. The day began at nine o’clock with everyone bringing their entries for the various classes and by eleven we had an impressive display. 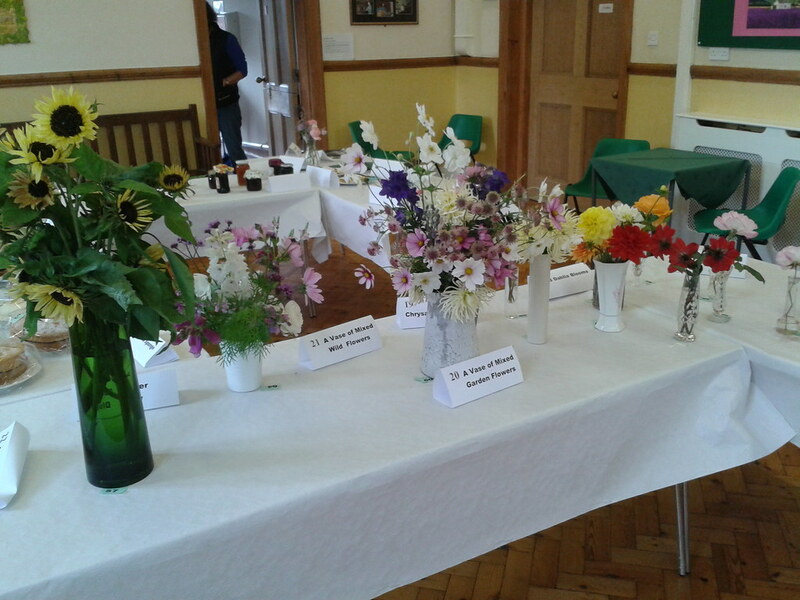 The Hall looked and smelt wonderful with the displays of flowers, fruit and vegetables not forgetting the entries for the cookery section; mouthwatering cakes, jewel like jams and cordials, pies and biscuits. The children’s section was also well supported to include the most beautiful polished red onion I have ever seen! The judges Mavis and Suzanne got to work at eleven o’clock carefully examining and sampling and by twelve thirty the decisions had been made, rosettes had been awarded and we had an overall winner. 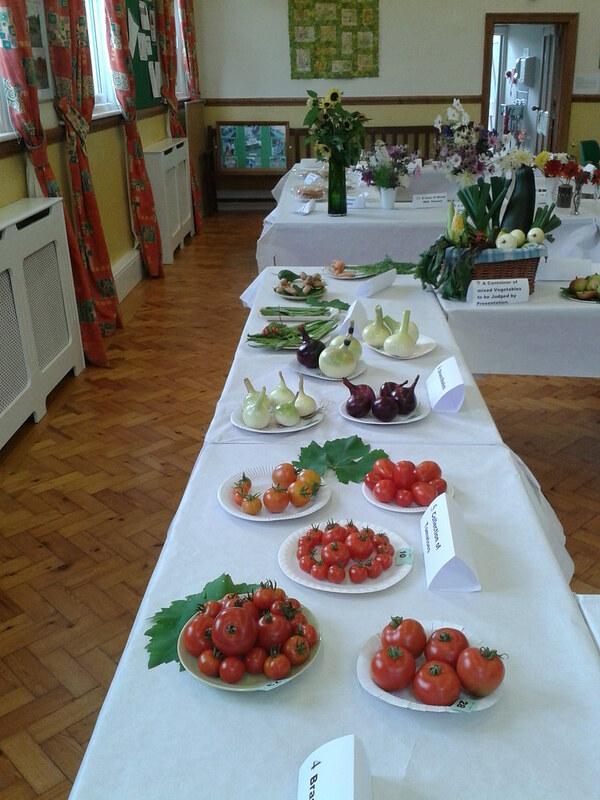 The Best in Show was awarded to Lynne Whitehouse for her stunning display of greenhouse vegetables. 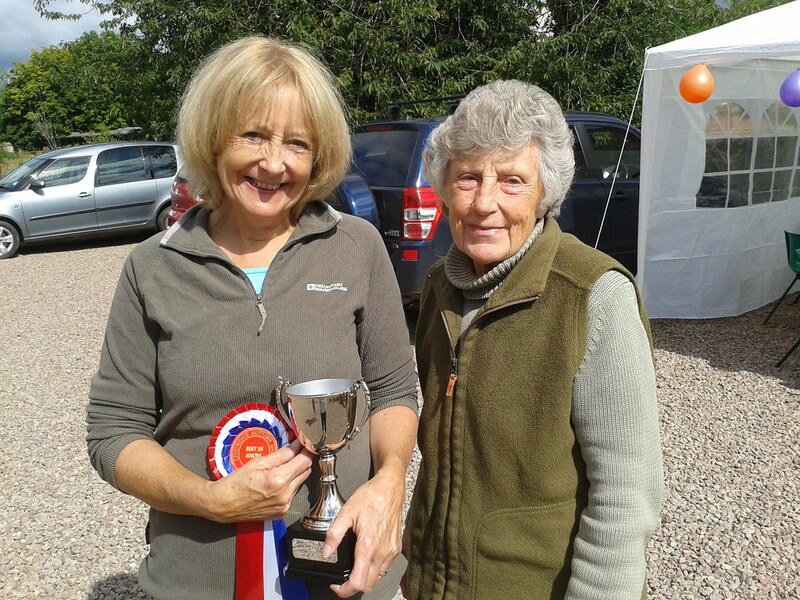 Lynne was presented with the new ‘Betty Andersson Cup’ and congratulated by Betty herself. The name for the Cup was decided as Betty has been the inspiration and driving force behind the Autumn Show. At the same time in the marquee Hilary was cooking delicious burgers and sausages on the BBQ while lovely Hannah sang and played her guitar, and Vickie served tea, coffee and cakes on behalf of the Toddler Group. Thank you also to Eardiston Country Club for opening up to serve alcoholic drinks. We had a Bouncy Castle and Candyfloss for the children and Julia did a marvellous job selling raffle tickets. The afternoon became warm and sunny and when everyone had toasted their success the majority of the entries were auctioned off. It was a lovely gentle village day and a big thank you must go to everyone who worked hard to organise the day, not least, Ros, Janet and Pauline and an even bigger thank you to all of you who took part, we couldn’t have done it without you. Click on one of the pictures and then click or swipe to move through them. If you can’t see any arrows to click, try the left and right arrow keys on your keyboard.